Volkswagen said U.S. sales plunged 25% in November in the wake of the German automaker's massive emissions cheating scandal. The company admitted in September that most of its diesel cars in the U.S. had software that allowed it to pass emissions tests, even though the cars dumped 40 times the allowed levels of pollutants into the atmosphere. The EPA ordered it to stop selling those cars in the U.S. But it wasn't just VW's diesel models that saw a steep drop in sales. A year ago the diesel cars it has since had to stop selling made up 17% of its total U.S. sales. But even excluding those diesels, sales would have been down 9% for the month. "When consumers hear Volkswagen in the news, I don't think they necessarily think it's just the diesel models that are cheating, and not their gas models," said Michelle Krebs senior analyst for Autotrader. Volkswagen's luxury brand Audi didn't take much of a hit to its sales, even though some of its models were also included in the emission testing scandal. It reported flat U.S. sales for November, down from a 17% jump in October. VW sales had been holding up until now. The company reported flat U.S. sales in September and a slight increase in U.S. sales in October. Overall global sales at the Volkswagen brand were down 5.3% in October. Related: Volkswagen owners demand - Buy back our cars! Volkswagen (VLKAY) has been meeting with regulators about the scandal but has yet to announce how it will fix the 500,000 cars on U.S. roads. 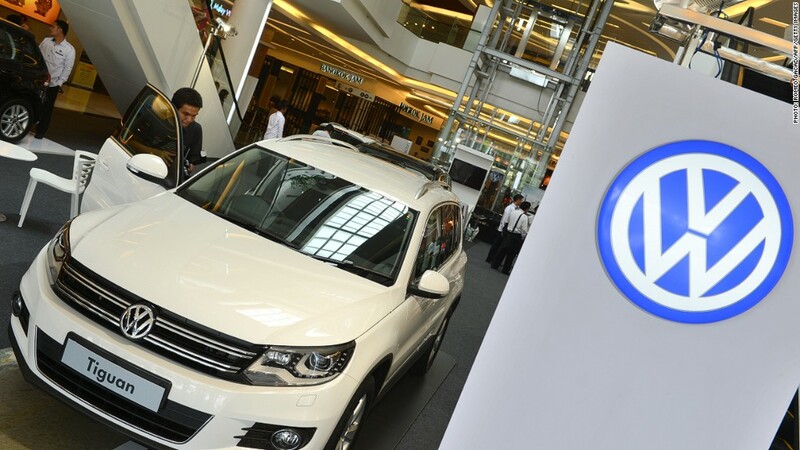 "Volkswagen is working tirelessly on an approved remedy for the affected [diesel] vehicles. During this time we would like to thank our dealers and customers for their continued patience and loyalty," said Mark McNabb, chief operating officer of Volkswagen's U.S. operations. But even once the fix is announced, experts fear there will be long-term damage to the company's reputation with car buyers. "I don't know if the consumers are going to come flocking back in once they've instituted a fix," said Alec Gutierrez, senior analyst for Kelley Blue Book.